1) Cancelled a Platinum card last night and the person I spoke to actively told me to wait 6 months before applying again for the card to get the sign up bonus – so hopefully that’s a sign that that rule isn’t changing anytime soon?! 3) The adviser who confirmed about point 2 to me, also said that there’s no customer services email address to send a complaint to, either I have to write to them, or go through the document centre. Again just seems a bit backwards to me. 4) Everytime I’ve spoken to someone from Amex (probably 5/6 occasions over the last week and a half), I’ve been speaking to an American. Have they shut the Brighton call centre and now all calls are routed to the US? On point 4 I have had the same, the ‘American’ call centre have been very poor in my experience of understanding any issues or we have serious communication issues. The last time I called I did get through to Brighton and the agent informed me that next time I could ask to be put through to Brighton if it was answered by another location…. I spoke to a CS person in Manila the other day. She had an American accent like many people in Philippines. I think on point 2 there might be a name check or something. I tried to add a supp card to my wife’s account a few months ago. Old account and cards were in her maiden name and new card was married name, and it wouldn’t allow it to be added to the old account, had to set up a new one. I had this a couple of weeks ago. Their system is a little behind and was told by the call centre to wait a few days and try again. It worked. I also received the approval and card on way email (was originally deferred) two days after receiving the card! Off-topic: I’ve only been on the points and miles game for a few months, so when I started, the SPG/Marriott merger was already in motion. This held me back from getting the SPG Amex, as with the uncertainty about whether the mileage transfers would continue, I didn’t think I’d be able to build a large enough balance (especially since I never stay at either Marriott or SPG hotels) to get any worthwhile amount of miles if they were shut down. I’ve been thinking of getting the Amex Gold Companion credit card, for the MR bonus, and I’ve already have the BAPP, but now I’m wondering if there’s any change of the earning rate on the Amex SPG being grandfathered in, and maybe I should get that one instead? Any advice? OT Re Plat travel insurance benefits. Do you have to book everything on the Plat card to benefit or can you use another AMEX, say BAPP and still benefit from the cover? I think that PLAT rental car insurance covers irrespective of card used…. Car insurance yes, Rob confirmed that yesterday. Rob, on the back of the Amex Gold changes – I’m planning to upgrade my Gold charge card to Platinum within the next couple of days. Is it worth doing it now, or hold back until the dust settles? Can’t think of a reason to delay. Is that the “basic” card – if so I think it’s excluded in the Ts & Cs? No, I understand the Basic Card to be the Blue Charge Card. I mean this credit card: http://www.headforpoints.com/2017/10/17/american-express-rewards-credit-card-review/ and although Rob refers to one of the three versions as “Basic” I don’t think this is Amex’s own terminology. It is still an MR earning card and if you can refer for the green charge I would expect to be able to refer for this card too. Hope I’m making sense! I think you have got unrealistic expectations as I have been told I had many times. Another OT – I was pleasantly surprised to see earlier this week in MMB that I had received a complementary upgrade outbound for a short European team I was taking in 36 hours. This was the first time I have ever received a complementary upgrade outside of the 24hr window (normally it’s at check in at the airport, or at the gate). What was interesting is that I appear to have also received the increased TPs and Avios commensurate with business class outbound. I am aware the flight was very full so maybe this was just a very unusual one off, or could this possibly be a new occasional perk they are offering regular customers? 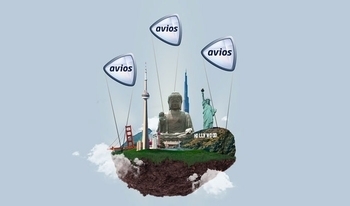 You may get lucky, but probably only the original Avios and TPs will post. Does anyone know their policy for increasing your annual spend limit? £10k to start with, and I read they might increase it ‘later’. Is it best to spend as much as poss as soon as poss, and hope it is upped when you hit the limit? The £50k per year is the maximum cap, so you still have a lot of scope to get upgraded. Thanks. Do you have to ask, or do they do it automatically when you are close to running out? I had to ask. Only took about 30 minutes though. Mine was upped automatically when I hit the first monthly target. How would that work? Would it not count as a cash advance? Financial Services transactions are usually blocked. Care to say which one? Trying to keep up my Curve expenditure to keep withdrawing cash… anyone have any idea if paying Amex bills via it will help my cause? I just gave it a try (linked to a debit card) and it went through fine… Whether or not it counts toward my spend/cash ratio I guess we’ll wait and see. My ratio is about 1:1 right now as I put everything on my Amex, so if they are looking for a 5:1 ratio as I seem to remember reading here, I will almost certainly be declined at my next withdrawal! If not… can surely only be the Amex bill or an oversight. I’ve just found out that loading up on a pre-paid foreign currency card via the Lloyds Mastercard (0% FX) is classed as “General” spending on Curve. OT Looking to use the T5 Plaza lounge and use my Amex plat to get in. Anyone know if I can guest my g/f in? Can’t see it on the Amex site when it talks about it. I’ve got a supplementary card in my name, would if they would work if I can’t guest her in. 1 guest per plat card – check the lounge benefits section on the amex website under platinum benefits – it’s there. OT: got this email from Curve today. I am getting in touch to let you know that we will need to reissue your card by Monday, 30th of April. We have received information regarding increased amounts of fraud on cards that have been used at a specific online retailer, suggesting that this retailer has been compromised. As you have used this retailer in the past, as a safety precaution, we will need to send you a new Curve card to ensure your money is protected. Please reply to this email confirming your shipping address for a new card by Monday 30th April. Once you have replied, we will block your card and issue a replacement. It can take up to 5 working days for your replacement card to reach you, so please ensure you have a backup card with you from the time you reply to this email until you receive and activate your new card. You can continue using your existing card until you reach out to us. If you want to take additional precautions, you can lock your card in-app and only unlock it when you’re about to make a purchase. Rest assured that you will not be out of pocket in the event of any fraudulent transactions. What happens if I don’t reply? If we have not heard from you by Monday 30th April, we will automatically place a block on your card to protect you from any potential unauthorised transactions on your account. Once you confirm your shipping address, we will be able to reissue your card.